Just when we started to think it was never going to happen, it did. 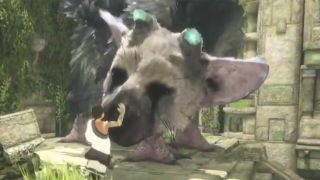 At E3 2015 Sony has given new life to The Last Guardian, an adventure game from Fumito Ueda, the maker of Ico and Shadow of the Colossus. The game was first shown six years ago, and we haven't stopped thinking about it since. Sony boss Shuhei Yoshida broke the seal on the stunningly beautiful game by revealing an official gameplay trailer which closes with a simple "2016." Getting here, to a release date and a platform (it's coming to PS4! ), has been a long strange journey. So much so that it largely parallels what we've seen so far of The Last Guardian. We're going to need details, clearly, but the fact that it's coming and will have the same grandeur and magical ambiance SotC and Ico may have to tied us over until next year's Sony event.